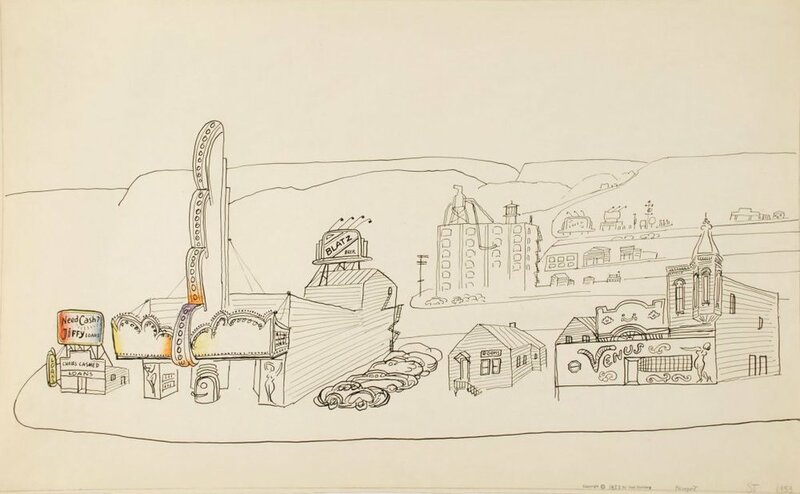 So, as it usually goes, I learned a ton of interesting things about today's artist birthday, Saul Steinberg (1914-1999). 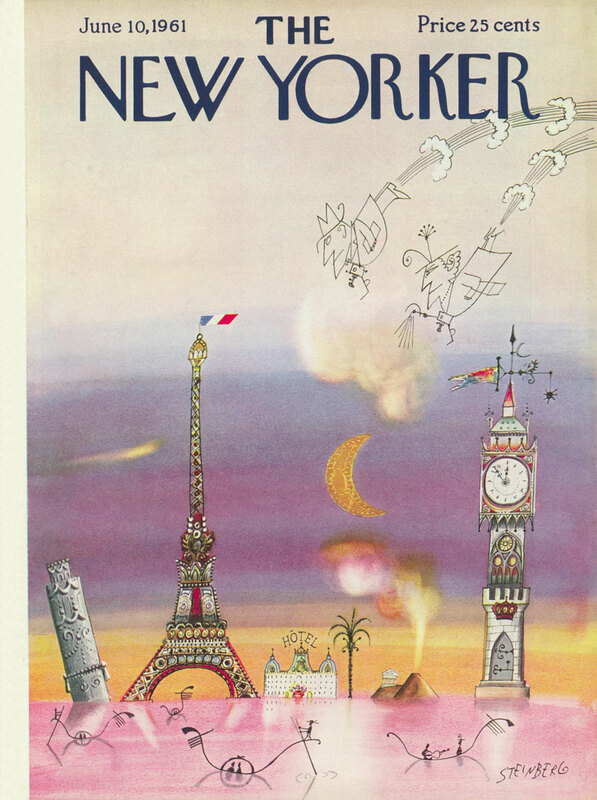 I have long admired the wit, irony, and creativity behind his New Yorker covers, cartoons, and the iconic View of the World from 9th Avenue. More than once I have checked collections of his work from the library. I am always attracted to uniqueness and creative humor or satire. 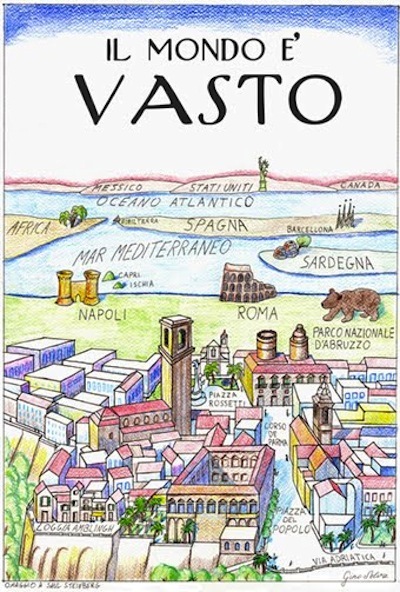 And maps intrigue me: I love his versions which more often than not reflected a cultural reality. 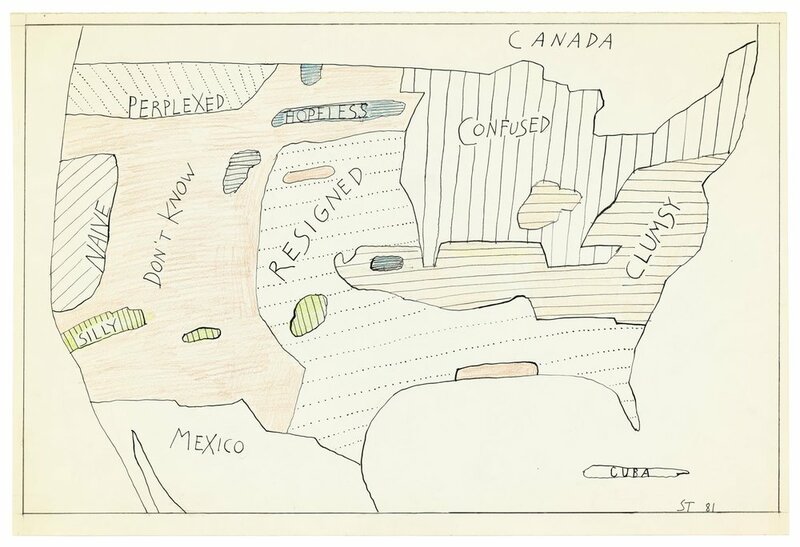 Steinberg's maps were "not a system of geographic measurement but a way of thinking". 1 - Saul was born in Romania just before World War I. He was an architectural student in Italy before he escaped in 1942. He was a recognized and acclaimed artist, often identified for his pen-and-ink, but who also collaged, painted, stamped, and sculpted, and who said that his personal goal was to always draw like a child. "Famed worldwide for giving graphic definition to the postwar age," the art world never quite knew where to categorize him. As his work evolved, his cartoons rarely had punch lines; the jest was clear enough even with few lines. He commented through his art on the issues of over seven decades, often using architecture as his message tool of choice. "Steinberg has been called a 'critic without words.' He looked at buildings and their interaction with public spaces and understood the effects of postwar urbanization and highway expansion on the American scene." 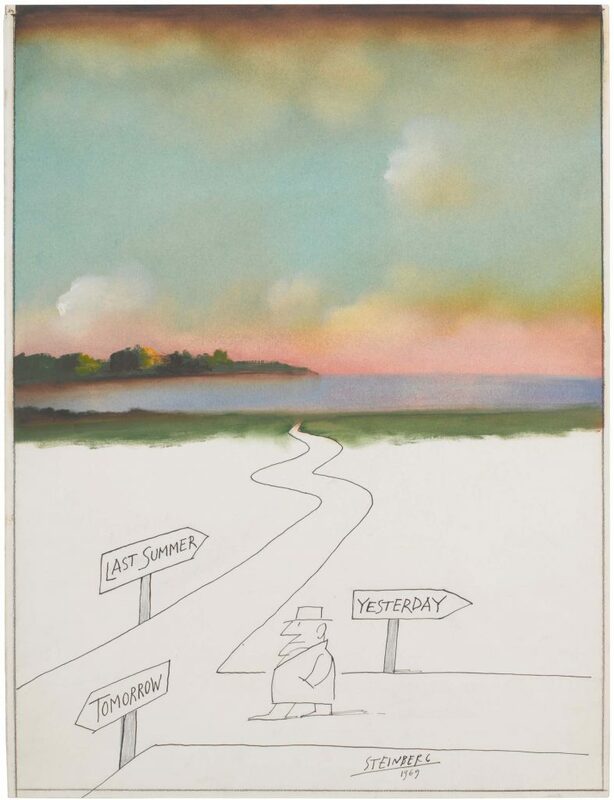 In the 60s, he drew New Yorker covers regularly, many of them commentaries on a political, sociological, or cultural issues, "passing judgment on the world as he saw it and, not incidentally, reflecting the contents of the magazine." 2. Saul was not a one-trick pony. A look at his work shows an interest in a variety of concepts, tools, materials, and venues. Saul played with words. When I taught, whether gifted students or not, this was a creative exercise I shared and challenged the students with often. Great fun. Saul played with collage. Mixed media artists like me love collage. Combining magazine photos, scraps of paper, designated stationeries with pen and ink or painted images is fun and leads to other ideas. And he was perhaps a pioneer of sorts in mixed media - crayons, oils, watercolors, ink - and the surfaces on which he created his art. He designed his own rubber stamps and used them often. Who doesn't love rubber stamps? You? Oh, don't tell me that. And mastered one-liners and visual puzzles. He was not reluctant to use everything on his art table, a true mixed-media artist. 3 - He liked to create "official" documents which he gave to friends or exhibited in gallery shows. He played with rubber stamps (that he created), faux seals, and pseudo-photographs. 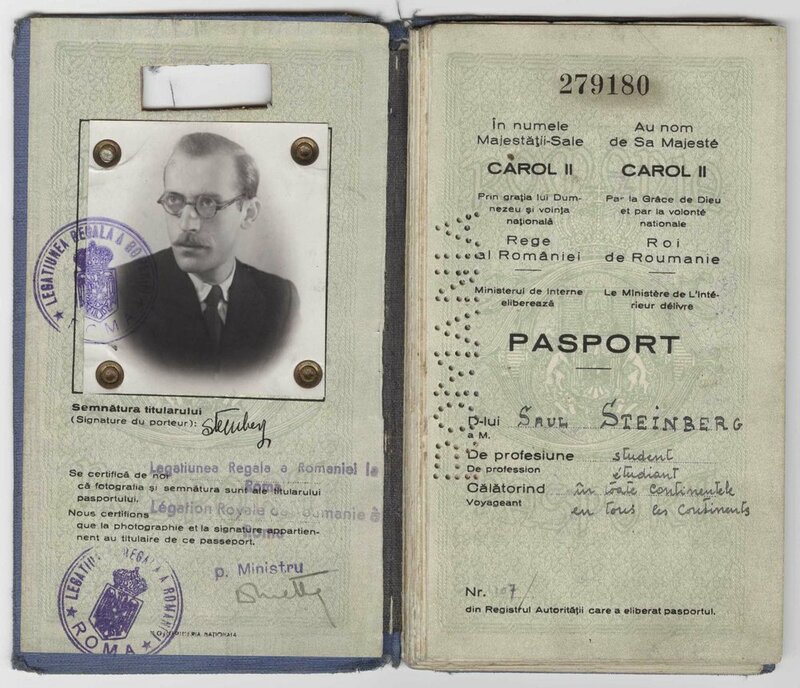 Many of these documents reflected his earlier struggles to leave Fascist Italy and enter the United States. 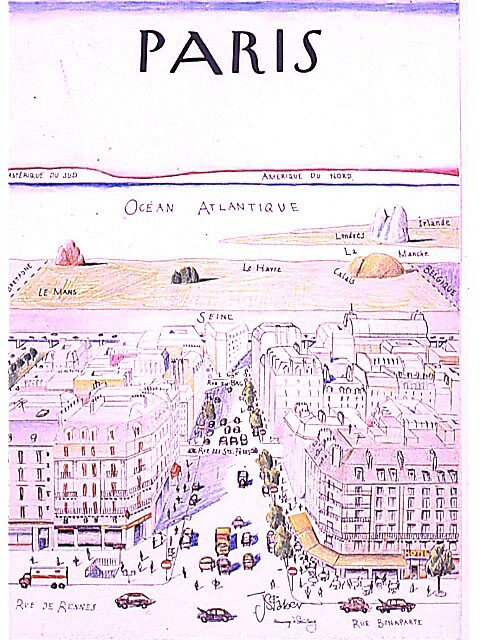 4- His iconic piece, View of the World from 9th Avenue, was a parody of New Yorkers' (particularly Manhattanites) elevated perception of life beyond the Hudson River. 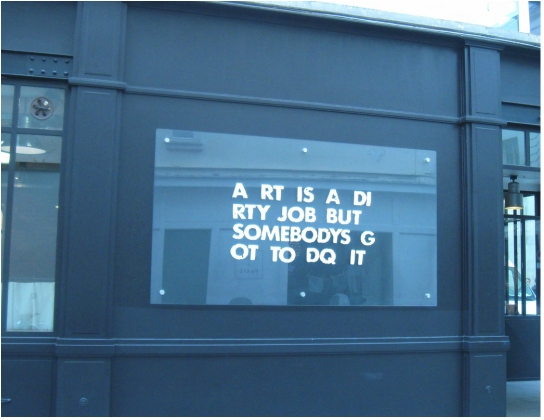 It led to countless imitations and reproductions. Steinberg sued one of these imitators and won a large settlement; it wasn't copyright infringement alone that distressed him, but that he would be mistakenly associated with all of the other versions. Hey, Saul! Thanks for the fun! This is a whole lot longer post than I intended. I just kept being mesmerized and excited to share this life's wide-ranging portfolio of inspiration, humor, technique, commentary, and artistry. I just love this guy. He oozed creativity. 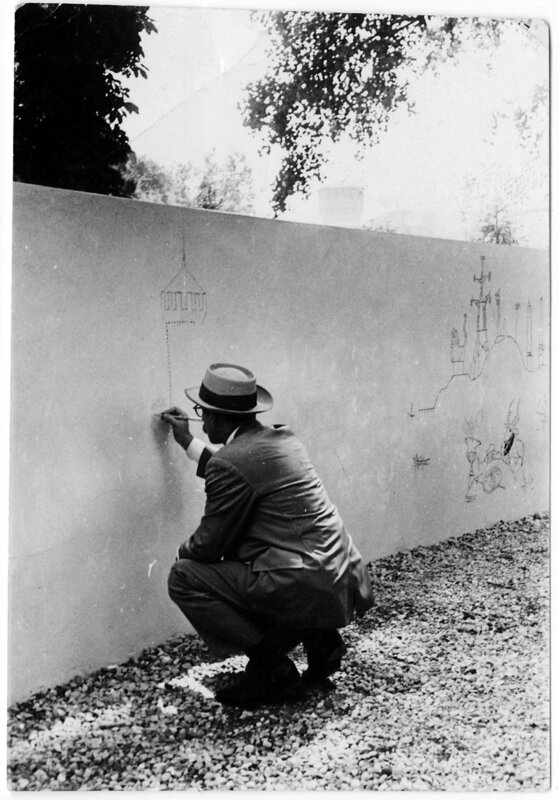 Except where noted (the above "ancestors" of View of the World), all photos are from The Saul Steinberg Foundation. If you have time and interest, I encourage you to visit the site. As long as this post is, I have barely touched the surface. And there is a wonderful article by Ian Frazier in the New Yorker on what would have been his 100th birthday here. Go see the photo at the top of the article and smile. And, in his honor, watch this video of a young girl who is a cartoon captioner ready herself for the New Yorker. Jun 17 Tub o' Books. The First. Feb 1 You've taken my blues and gone.